Images are copyright of Columbia Pictures. Everyone might not openly buy into the super hero genre, but deep inside, it would be a lie to say that it isn’t at least somewhat cool to see a villain pay for his misdeeds. In recent years there have been more than enough good guys to root for in their battle against evil and 2011 appears to be chock full of another round of offerings. This particular selection is even a departure from the more comical releases in that it feels like a callback to a Adam West style adventure (which makes sense since the story was once a radio show in the 1940s). Granted, the flick does try to be just modern and violent enough to avoid the 60s drug trip, but it’s done in a way that actually makes it fun. 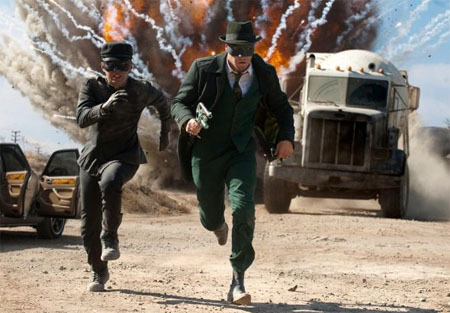 “The Green Hornet” should be treated as what it is, something not at all serious, yet a good night out with friends. The tale focuses on the world of a not so productive member of society, Britt Reid (Seth Rogen) who doesn’t do much other than mooch off his dad James Reid (Tom Wilkinson), who owns a media empire in the form of the Daily Sentinel. However, his laziness is cut short when his father dies under suspicious circumstances and he is forced to make a decision on whether or not he will use his inherited resources to make a difference. This is where an unexpected friend and ally enters on the scene, Kato (Jay Chou), who was formerly the mechanic as well as hired help for James. Together the two decide on a whim that they don’t like what’s going down in there city and you pretty much have the idea on how the Green Hornet gets going. 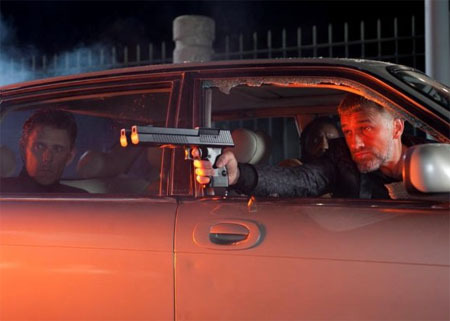 The crime fighting duo certainly makes themselves stand out and funny on the screen, though for much of the movie I’m getting the most laughs out of the villain, Chudnofsky (Christoph Waltz). This best move the makers of this flick made was not letting it compete with the big name super heroes, because it doesn’t have quite the best material to compete with (Like a so-so performance by Cameron Diaz). This film will appeal more to the guys out there, though compared to some of the other works Rogen has participated in, it’s at least family friendly for teenagers. In the end, considering that this time of the year is usually the time where the real crap goes on screen, you could do much worse. As far as sequels go, I hope they dive a bit deeper into actual crime fighting than just a buddy comedy with costumes if further installments are made. 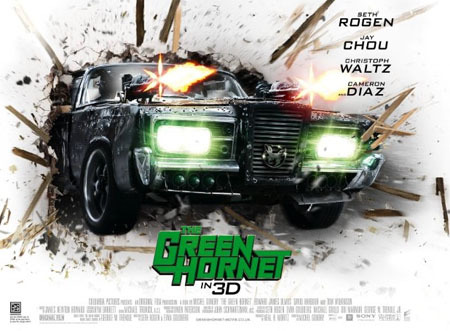 For being at least classy enough to not entirely rely on crude humor, I give “The Green Hornet” three out of five stings. Past Entertainment: Sub Heroes Board Game and Final Fantasy XIII for Xbox 360.